Two Blue Lemons: Happy Thanksgiving! Happy Thanksgiving, everyone! 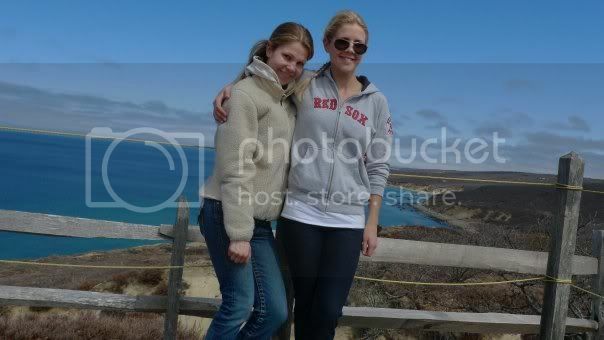 I am thankful for the best sister, best friend, and best blog partner a girl could ever wish for! We hope your day is filled with good smells, stretchy pants, and the people you love. Happy thanksgiving! I'm thankful for finding this blog ^~ I've recently adapted to a gluten-free (health reasons, boo to celiac) vegetarian diet with the ultimate goal of being a gluten-free vegan, so blogs like this are wonderful! Awww...we missed you ladies this Thanksgiving. We are picking up our first winter farm share tomorrow (from the fabulous Enterprise Farm in S. Deerfield, MA) and looking forward to yummy TBL suppers all winter! Monica, Thank you so much for you very lovely comment! We're thankful that you found us and got in touch! Thanks again for your comment!